Legacy system modernization is a big trend in the manufacturing industry. Manufacturers are beginning to realize their fragmented labeling processes and IT systems leave them ill-equipped to compete in today’s dynamic, global environment. Many are now planning big changes to modernize their labeling systems and processes in order to achieve greater agility. When manufacturing companies undergo modernization efforts they tend to focus on system standardization and centralization; doing away with disparate systems that add complexity to labeling and place a burden on IT resources, while addressing the issue of having label data hosted in a variety of locations. 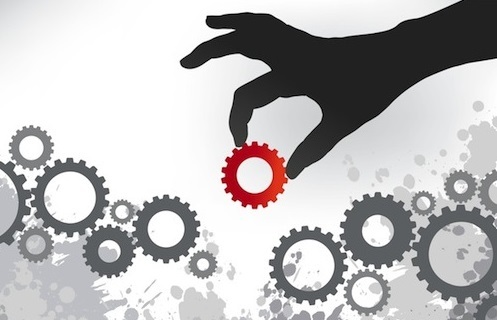 An equally important trend with manufacturing companies is process improvement. A label system modernization project brings the opportunity for sometimes long overdue change. We’ve encouraged several of our customers take a close look at the labeling function in their organization and identify improvements that ultimately reduce operational costs while increasing agility. Process improvement opportunities don’t come along every day and manufacturing companies that pair this with system modernization enjoy a competitive advantage. Domtar, the largest integrated marketer and manufacturer of uncoated freesheet paper in North America did just that. They wanted to modernize their labeling system without impacting their Manufacturing Execution System (MES). Domtar created business rules within the NiceLabel labeling solution to seamlessly integrate with their MES. They also have centralized design, review and approval of labels, version control and the ability to track label changes. All customer facing product labels are standardized on common label templates. Streamlined workflows enable built in redundancy so that if there is a hardware failure, labeling shifts to a secondary distribution center, ensuring steady production levels. Ultimately, Domtar’s legacy system modernization project resulted in exceptional customer service, improved production uptime and a more agile supply chain. Look for opportunities for process improvement in your organization (a few are listed below). If you’re considering a system upgrade, now may be the time to take a close look at your processes and procedures. You may find that applying best practices to your labeling operations will drive down operational costs and give you an advantage over your competition. If you would like help with a legacy labeling system modernization effort, please contact NiceLabel.